Los Gatos Therapist: Doreen Maxwell MFT and Associates Experiential Psychotherapy - Therapist 95032. Hakomi Is "Facilitated Self-Study," A Body-Centered Psychotherapy That Utilizes Mindfulness In The Service Of Studying And Transforming Core Beliefs And The Limiting Patterns That Arise From Them. It Also Represents A Strong Belief In How The Body, Through Movement, Gesture, Voice, Etc., Powerfully Reflects Psychological Material. It’S Experiential, Mindful, Spontaneous And Creative. I most often work with people suffering from depression, anxiety, attachment wounds, and trauma. I see individual adults, couples, and children. Session Fees: $180 per session. A few sliding scale spots- inquire. Psychotherapy is one of the best investments you can make in yourself. I love this work, as I love witnessing the changes clients are able to make. I have tremendous respect for this process of diving in and paying attention to one's inner world. There are enormous advantages to this attention and learning for your life, your relationships, your work. I use the principles and methods of Hakomi Body-Centered Psychotherapy, * Somatic Practice, Transpersonal Hypnotherapy, Internal Family Systems, and/or Sandtray. Above all, I believe in your inner knowing, your impulses toward healthy growth. All methods are simply used to facilitate the self study needed to free up these capacities. I most often work with people suffering from dysfunctional relationships, depression, anxiety, attachment wounds, and chronic or acute trauma. Patterns and habits which were once adaptive coping methods may not serve you or your relationships anymore. Together we can access these unconscious beliefs that hold you back and so create new possibilities in feeling, thinking, and relating. Trauma is held in the body, and can be moved along with somatic methods. 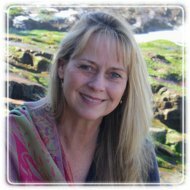 Hakomi Experiential Therapy and also Somatic Practice as taught by Kathy Kain, are most helpful. In couples work, I often teach Non-violent Communication skills; a precise and compassionate method to facilitate understanding, empathy, and getting one's needs met. I also facilitate your study of the dynamics and attachment issues through Hakomi methods: utilizing mindfulness and experiential exercises. I believe that your love relationship often has a hidden purpose- the healing of childhood wounds. Instead of focusing entirely on surface needs and desires, you can learn to recognize the unresolved childhood issues that underlie them and practice new ways of communicating and caring. It is human nature to want to coerce the other to change. However, if you each come in with the attitude of: "I want to work on how I respond to and communicate with my partner," we'll have a good chance of working toward a happier relationship. We all experience life stressors that can make us feel overwhelmed, unhappy, or stuck. If you find yourself in a such situation, hope and help are at your fingertips. Therapy can assist you in overcoming your difficulties by working to identify and change the thought, feeling and behavior patterns that keep you from feeling your best. Going to therapy is a courageous act that requires the ability to acknowledge we need extra help. To support your needs, I provide a warm, compassionate, and non-judgmental environment that will help you deal with your personal challenges, concerns, and worries. Feeling heard, understood, and accepted are the first steps that will lead you to a better place. In a collaborative approach based mainly on talk treatment, feedback, reflective listening, and psycho-education will be provided to you. Over time, you will be able to understand yourself better and develop more satisfying relationships with others. Other benefits may include how to make thoughtful decisions, develop coping skills, and learn how to empower yourself. While working with clients, I take into consideration early life experiences, age and life transitions, impacts of the environment and family unit, and client’s resources. I look forward to working with you and being part of your journey. Please feel free to contact me at 408 475 5966 or email me at smarchand@email.jfku.edu for a free phone consultation. At times life can be filled with challenges and difficulties. Many people struggle with pain from the past or the present. I offer a safe place where individuals can work through their problems and gain a clearer understanding of themselves, who they are and what they desire. I support clients as they seek help in identifying what could bring greater meaning to their lives. Through these discoveries we can create hope for a deeper sense of satisfaction with life and in turn a stronger sense of well-being. I help clients explore issues that impact their lives and their relationships. This may include help with depression, anxiety, communication with others, grief, loss, life transitions, changes in health or your personal life, or working towards overcoming past or current hurts and traumas. I am here to help you with your challenges. Together we will find ways to move through whatever difficulties you are encountering. My approach stems from a place of warmth, understanding, compassion, practicality, and non-judgment to support you as you seek changes that you would like to make in your life. I received my B.A. in Liberal Studies from San Jose State University and attended Palo Alto University where I completed my M.A. in Counseling. My previous work experience includes fifteen plus years in the technology field as well as providing counseling at a nonprofit agency in collaboration with children, teenagers, adults, couples, families, and groups. I have also been a volunteer with the Centre for Living with Dying program since 2014. Hi. I’m Peter Cellarius. I’m an Associate Marriage and Family Therapist. More importantly, I am someone who can help you develop a more fulfilled and rewarding life. When human beings encounter trauma or the stressors of life, they can get stuck. Lives can unravel. My passion is to bring healing to people who are troubled, hurting, or anxious. If you’re feeling stuck, you’ve come to the right place. It is never too late to make a change. I work with couples, individuals, and families. I help my clients grow and develop, for themselves and those they love. 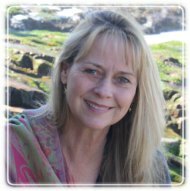 I help people discover how to find peace, connection, and wholeness. And because no single approach is right for everyone, I have trained in a range of approaches including Somatic Experiencing (SE), Emotionally Focused Therapy (EFT) for Couples, and Acceptance and Commitment Therapy (ACT). I left a successful career as a high tech executive because I knew there was more to life than money. I saw hurt and pain and I wanted to help. Whether you are encountering challenges in your relationship or dealing with anxiety, stress, or depression – there is hope. We can work together. You are not alone.